Grow a bumper crop of delicious potatoes on your patio! 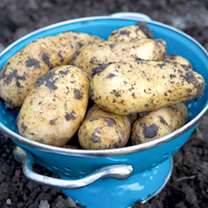 The kit comprises 3 or 6 tubers each of Charlotte (salad), Maris Piper (maincrop) and Vivaldi (2nd early), plus 3 or 6 tough woven polythene planters to enable you to grow them on the patio. Each planter measures 45cm (18") high x 35cm (14") wide. You can look forward to a bumper harvest in the smallest of places from as early as June onwards. Charlotte - Colour - pale yellow. Shape - long oval. 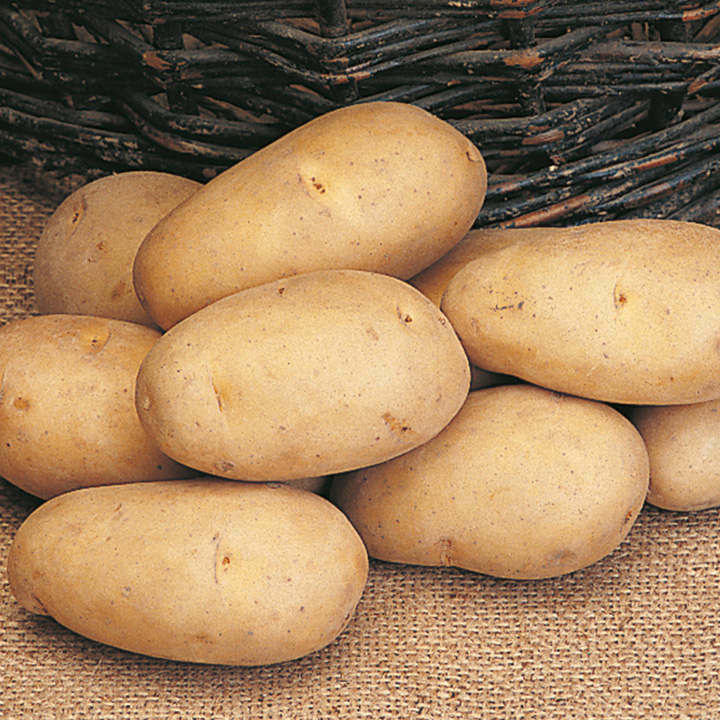 Hugely popular salad; uniform tubers. Salad type. Maris Piper - Colour - white. Shape - oval. 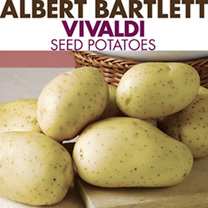 National favourite; great for fries; uniform shape and size. Maincrop variety. Vivaldi - Colour - white. Shape - oval. Very versatile; with a unique texture; award winner. Second Early. Refill Pack - Already have the containers! 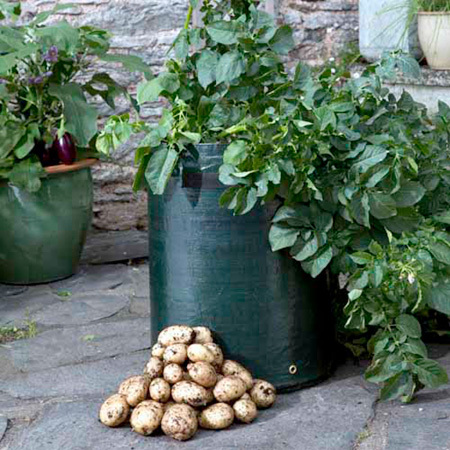 If you already have the containers then all you need is our refill pack to plant them up again. 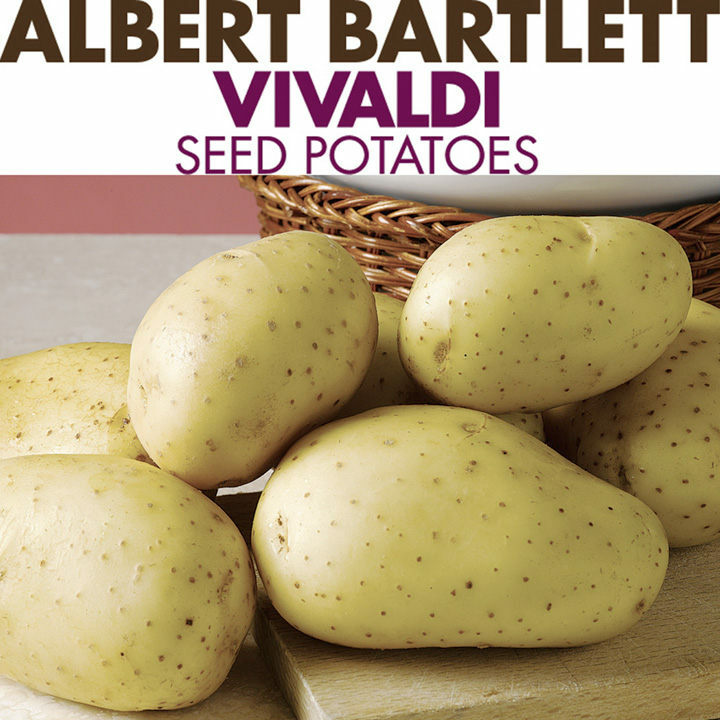 Pack contains 9 or 18 Tubers (3 or 6 of each variety - Charlotte, Maris Piper, Vivalidi). Nothing beats the taste of home-grown potatoes!